Omer Fast was born in Jerusalem in 1972 , graduated the MFA program at Hunter college New York and is currently living in Berlin. 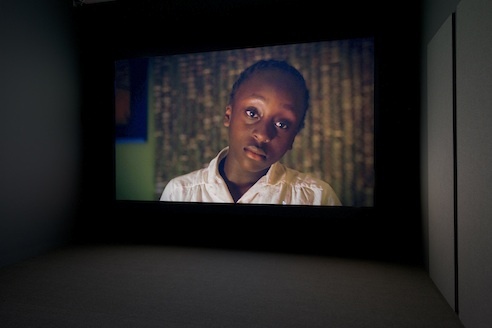 Fast’s video installation “Nostalgia”, purchased by the Hammer museum in Los Angeles, had been recently exhibited at the museum as part of the show “Selections from the Grunwald Center and the Hammer Contemporary Collection” (January 19-April 28, 2013). 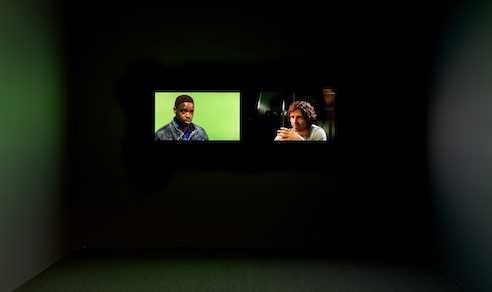 “Nostalgia”, a Three part, four channel film and video installation, was first exhibited at the Whitney Museum of American Art in 2009, following Fast’s winning the Whitney Biennial’s $100,000 Bucksbaum Award a year earlier. 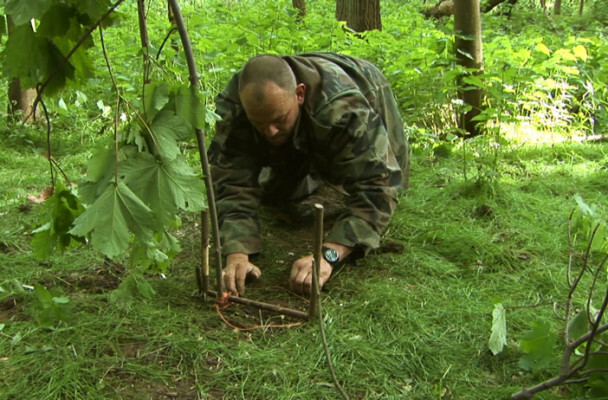 The installation at the Hammer started with the view of a man in army uniform, preparing an animals trap, with a voice-over of a Nigerian former child-soldier. In the second part, a film maker interviews the young Nigerian youth for an Africa-oriented project. As the interview continues, the young man confesses eating monkey’s meat, a statement that bring the interview to it’s end. In the third part, three white refugees, two men and a women, are seen trying to escape through an underground tunnel, chased by an African border police unit men and dogs. The chase and nearly execution are being cut by an interview which is being held at a governmental office by a black woman, who is trying to get information about more tunnels from one of these men, with a promise for legal sanctuary. The viewers have no idea how this session had ended, since the video loops back to it’s starting point. Fast’s direct, yet allegorical video triptych, faces the spectator with burning historical and endlessly current questions of racial tensions, class, and human cruelty. Hammer Museum, Los Angeles. Purchased with funds provided by The Philip and Muriel Berman Foundation.